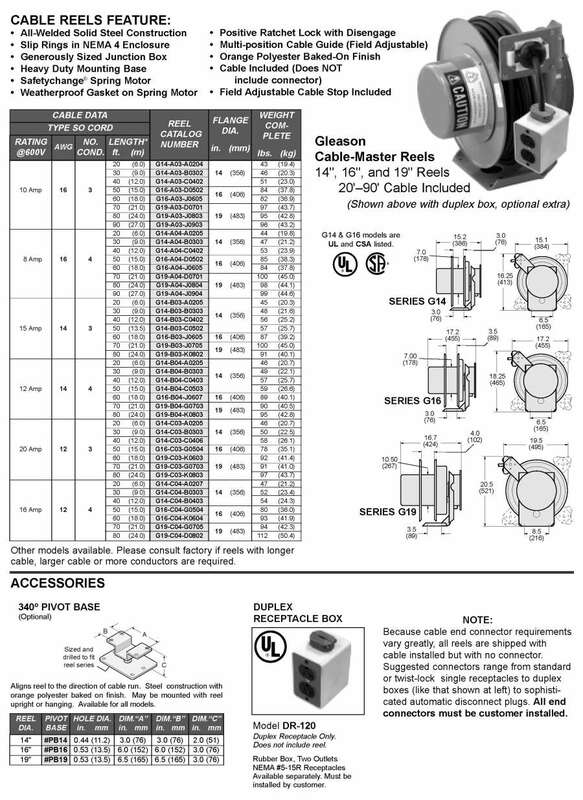 When seconds count, rely on Gleason Cable-Master Reels. When the call comes in, emergency vehicles must be ready to roll, get to the scene and spring into action. 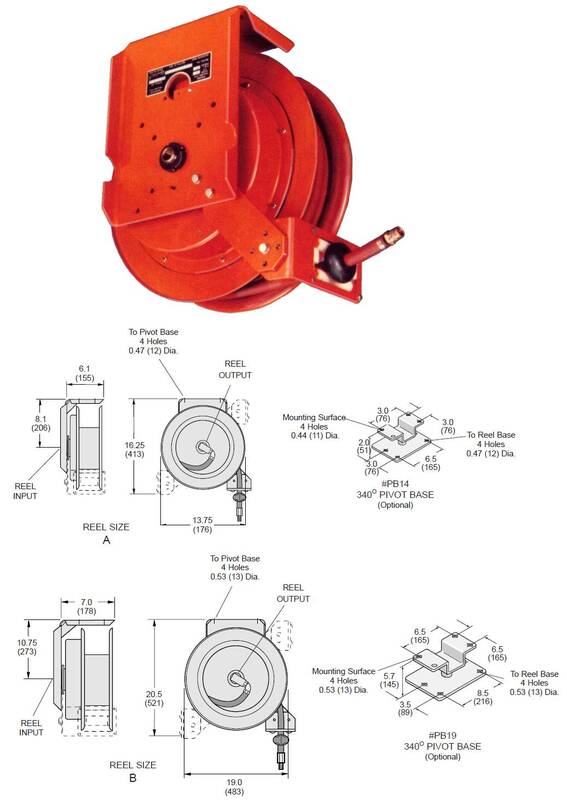 Cable-Master reels mounted overhead at station provide "off-duty" power to vehicles. 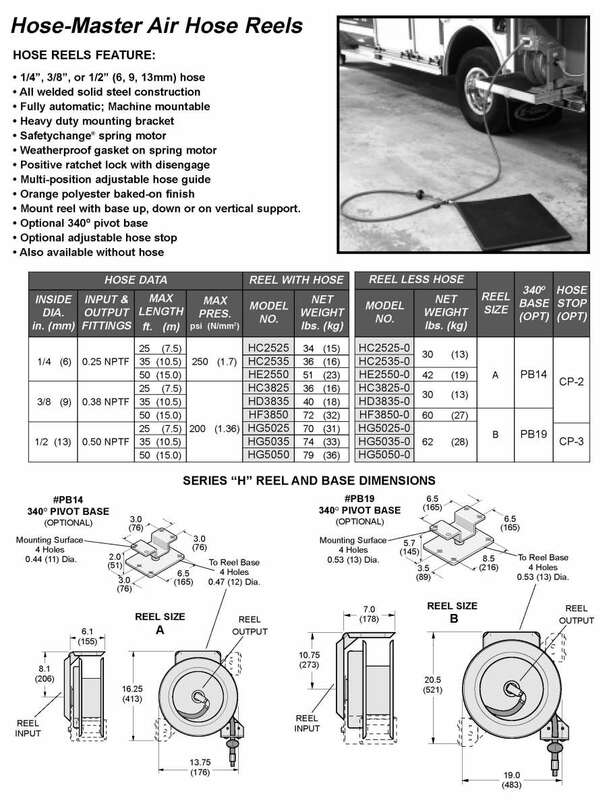 Hose-Master reels keep air brakes charged. 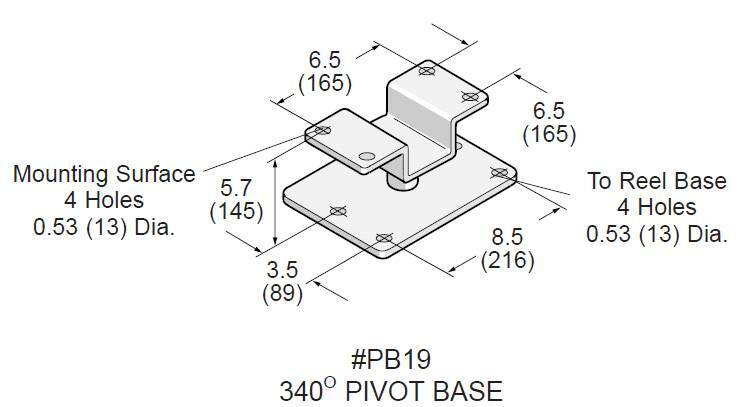 Both can be equipped with sockets which automatically disconnect when the engine starts. 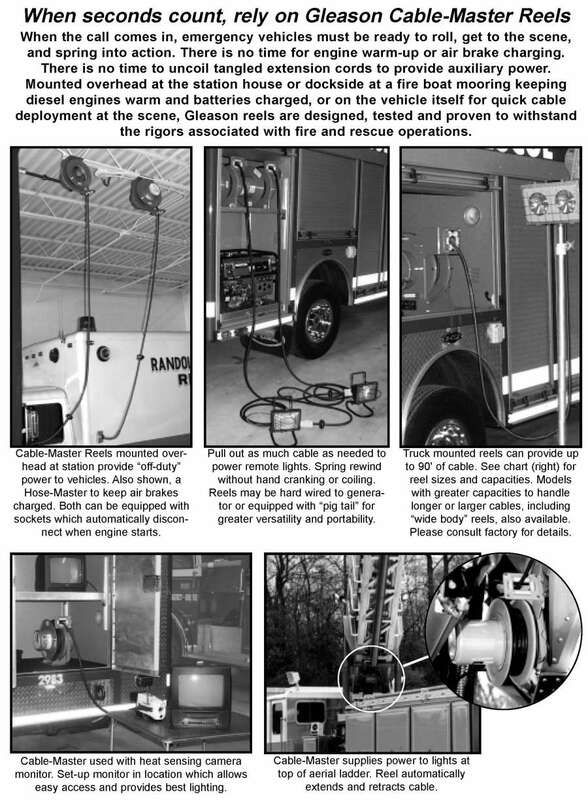 Truck mounted reels provide quick cable deployment at the scene and can hold up to 90' of cable. 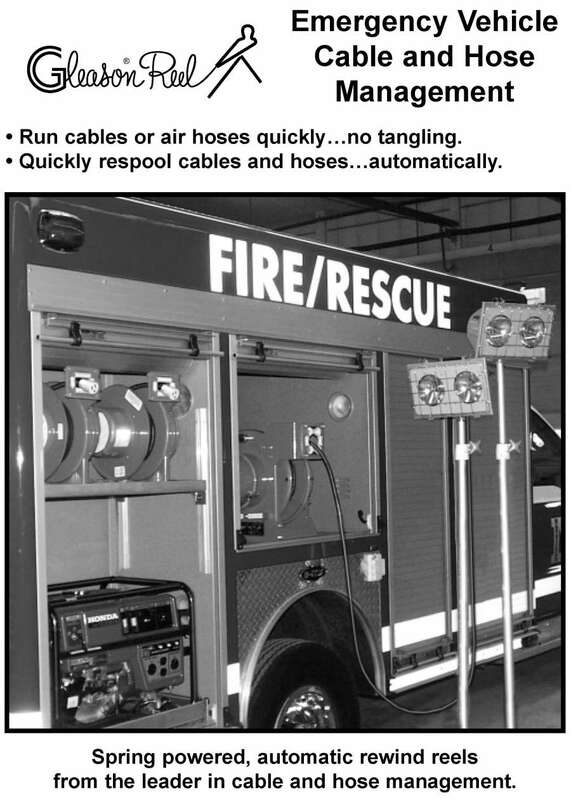 (45LBS) H 8" L 18" W 16"
(40LBS) H 10" L 24" W 22"
(45LBS) H 10" L 24" W 22"
- 1/2"/ 13mm Hose I.D.